I first met Kelsey in elementary school. She was and has always been kind and genuine. After high school, we ran into each other several times at our gym and she soon sent us a message saying she was engaged! We always love hearing how our couples meet and as soon as we sat down with these two we just had to ask them. This story was also shared at their wedding ceremony and so we thought it was fitting to share with you! Kelsey worked at a local pizza place here in Chico and Taylor just happened to have friends who were working there as well. After spotting Kelsey, Taylor soon took up a job at the same pizza place and the two soon became friends hanging out often. They knew they liked each other, but Kelsey didn't want to be the first one to "make a move". Taylor is super sweet and a little more on the quiet side. It took him a few months to ask Kelsey out on a date, but it was worth the wait! It wasn't long before Taylor knew Kelsey was the one for him. When Kelsey had almost completed nursing school, Taylor took Kelsey up to her grandparent's cabin, one of Kelsey's favorite places on earth! After cruising around the mountain property, Taylor dropped to one knee and popped the question. Kelsey ecstatically said yes! Their wedding took place at White Ranch right here in Chico. It was small and intimate including all of their families and closest friends. Kelsey has a large family and they were all on the dance floor by the end of the night! We must say, the Hignell family knows how to dance!! 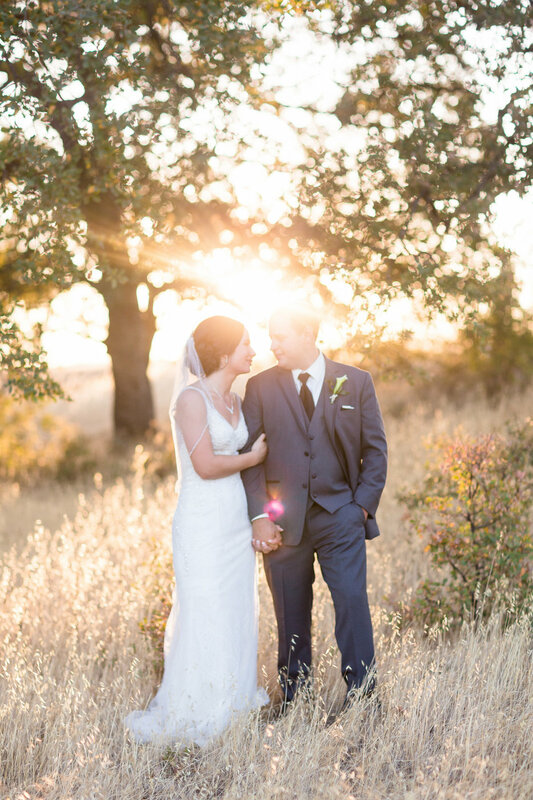 Enjoy some of our favorites below from Taylor&Kelsey's White Ranch wedding!